The Premium Rosewood Gavel Gift Set will hammer order into any unruly crowd. 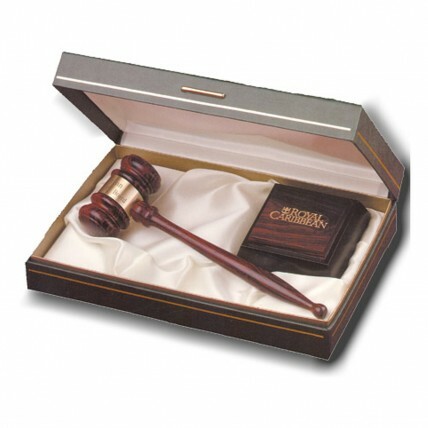 This set features a premium rosewood gavel with an engraved brass band along with a wood block. All are stored in an elegant gift box. Price includes engraving on the gavel; block engraving not available at this time.